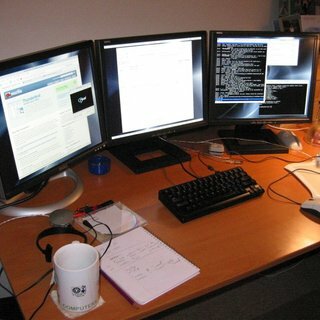 This is my new workstation, with three 17” TFT monitors running off two graphics cards to give a total resolution of 3840 by 1024 pixels. It’s running Ubuntu Linux. It was a little tricky to get triple monitors working under X11, but well worth it for the result.